Deidre's Discoveries: Scentsy - up to 75% off! The Most Wonderful Sale of the Year! 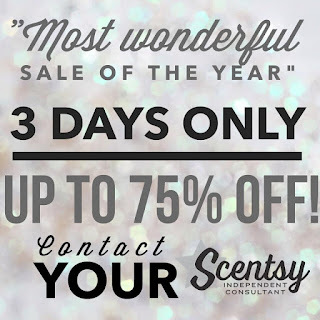 Scentsy - up to 75% off! The Most Wonderful Sale of the Year! Scentsy didn't seem to have any Black Friday or Cyber Monday specials when pretty much everywhere else was. They surprised us with some news yesterday, that there will be a sale for the next three days. 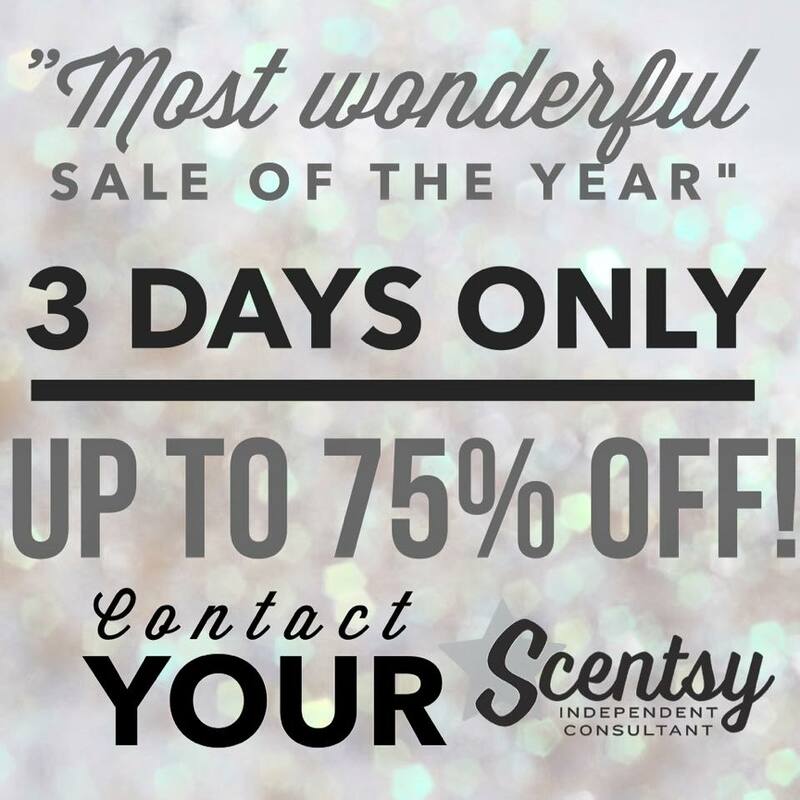 From December 2nd to December 4th, you can save up to 75% off selected Scentsy products! While they haven't said what else will be going on during the sale - I get the feeling there will be more than just those items. Of course this is all while supplies last. If you're interested in shopping any of the days, I'd be glad if you visited my Scentsy party links! Each order placed will put your name into my drawing - and if it ends up being a qualified party - you'll be glad you shopped with me!